Winter cycling training is tough, especially as the nights and the weather close in to make conditions tougher than at any other point during the year. 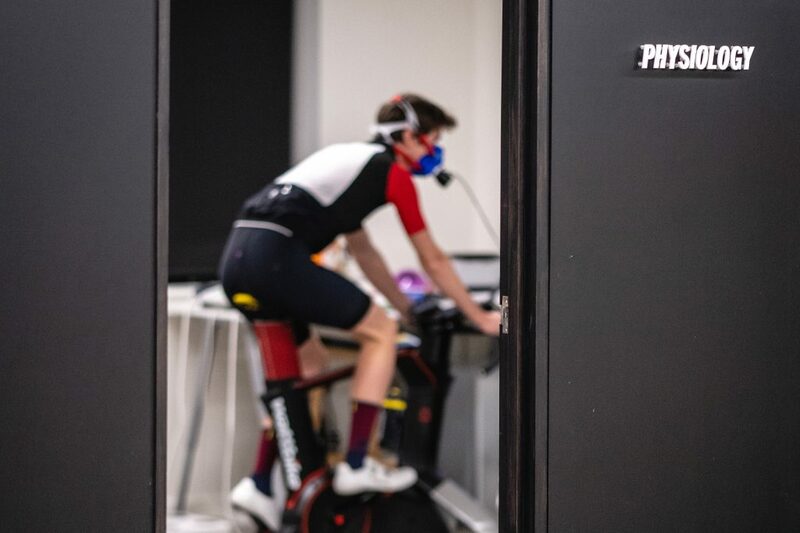 It’s vital you focus on the positives of your winter programme, however, and this is where our friends at the Boardman Performance Centre can help. It can be tempting to focus on easy mileage during your winter cycling training, which can result in riding for the sake of riding, often with a lack of purpose. Instead, this period should be seen as an opportunity to wipe the slate clean and create a plan to achieve the objectives for the upcoming season. This can start with a better understanding of what your current fitness level is, as well as asking what it needs to look like, to achieve your goals for the next season. As with any plan, acknowledging the good and the bad is useful. To this end, understanding your own physiological strengths and weaknesses can be a productive path to inform this plan. Additionally, it’s important to be accurate in targeting which aspects should be prioritised for performance improvement and identifying the low-hanging fruit for quick gains over the winter. The plan for your winter cycling training is inevitably going to include ‘base’ mileage work. The key here is to make it productive and purposeful, and to avoid the ‘junk’ mileage which is of questionable benefit. Our bodies work within a system of stress and adaptation; the more appropriate and specific the exercise stress, the better the training adaptation, the more exact and targeted for the individual it is, then the better it is for reducing unnecessary fatigue. To prescribe an accurate training load, we must first quantify physiological parameters accurately. For example, identifying the lactate threshold and lactate turn point are key to identify the ‘threshold(s)’ in exercise intensity at which step changes in the body’s metabolism, fuelling and fatigue occur. 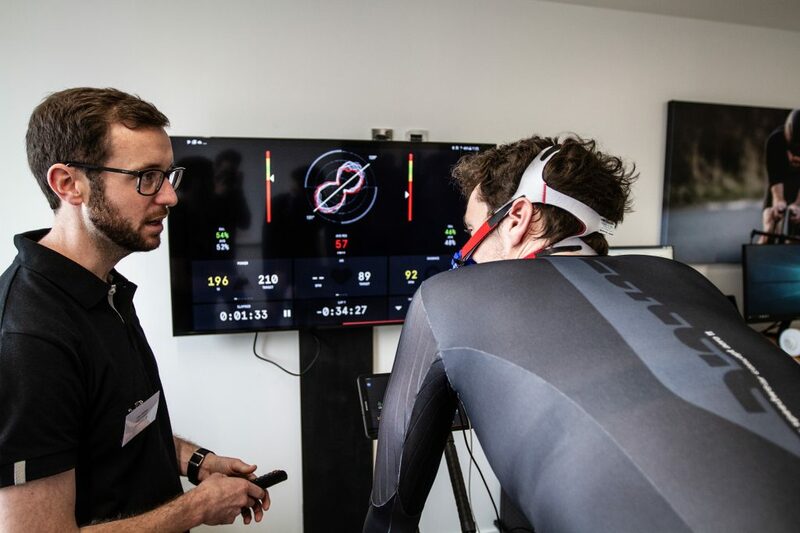 These are factors individual to the rider – one size does not fit all – and as such require a precise and controlled method to assess them, preferably in the laboratory with physiological measurements of power and metabolism. 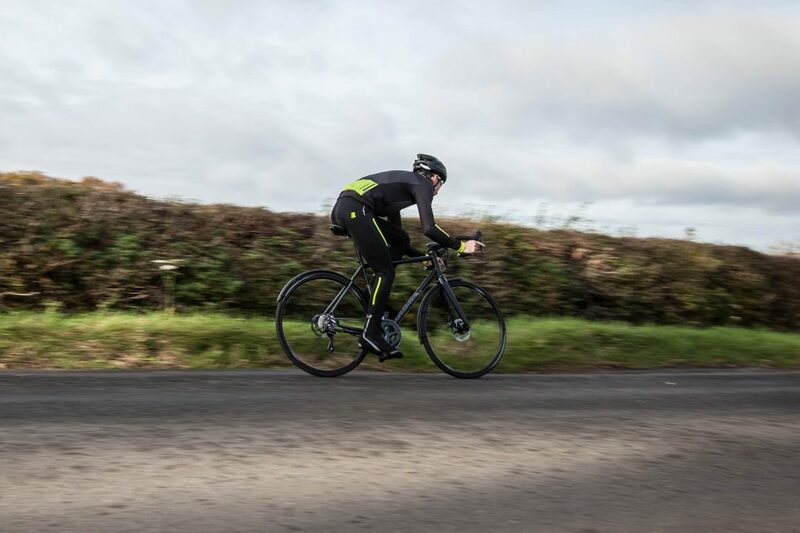 As the weather turns indifferent, it should be towards the front of your mind to ensure that each winter cycling training session has purpose to avoid falling into those grey areas, as well as focus to ensure there’s appropriate control of effort. It can be all too easy to push unnecessarily hard during easy riding only to have to back off during what should be a harder session. Before you know it, you have found yourself in a ‘physiological no-man’s land’. While the pros may have the luxury of achieving seemingly endless hours of base mileage, those with minimal time will need a bit more intensity in their winter training plan. This is where the concept of intensity differentiation is important. Again, an understanding of individual training zones (established with valid physiological benchmarks), will better shape your training plan, helping maintain the necessary precision in your training effort and manage your overall training load. The inclusion of indoor winter cycling training – on a turbo training or exercise bike – should not be looked upon derisively or with a sense of dread, but instead something to be proud of and embraced, particularly given the requirement for some higher intensity work in the winter programme. Indoor training sessions provide a great opportunity to hit the intensity mark with accuracy and better control of training load. It facilitates smarter training for those who are time-poor, which is most of us these days! At the Boardman Performance Centre, we make it our mission to help cyclists of all abilities to help you avoid training ineffectively. Our goal is to help you understand how your body creates its physical capacity and capabilities and making your performance visible. Our physiological profiling approach is critical to optimising the effectiveness of your training and supporting your future performance goals.